“Imatrankoski” is the main attraction of Imatra town (Finland). 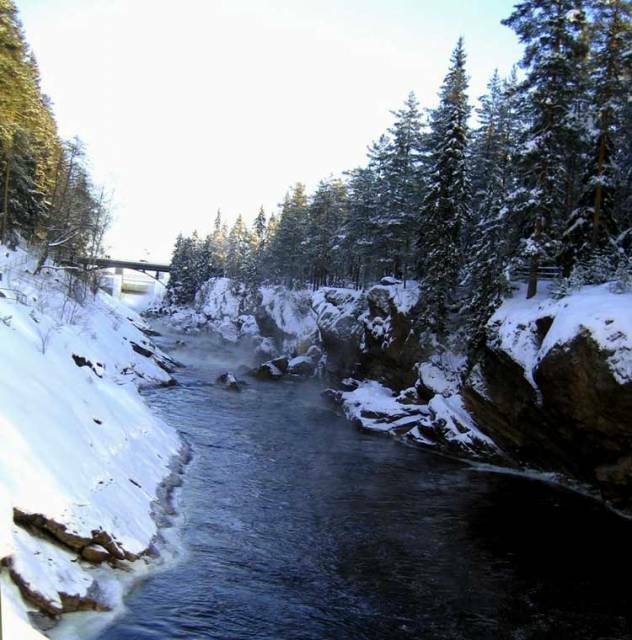 The rapids “Imatrankoski” on Vuoksi riveris is one of the first tourist attractions in Finland history. Russian Empress Catherine the Great visited it in 1772. It is located at a distance about 7 kilometers from Saima lake. Near is a popular hotel in Imatra (Valtionhotelli). The photo was made in December 2012 during a trip to Finland.